Probe revealed the allegations were true. Lalganj (Bihar): The administration has initiated action against the principal of a government school in Vaishali, Bihar, for segregating students on the basis of their religion and caste, reported ANI on Thursday. The school in question is GA Higher Secondary School in Lalganj of Vaishali district. A couple of months ago, girls of a residential school in Supaul were attacked by a mob, including women, for resisting sexual advances of some of the accused boys. 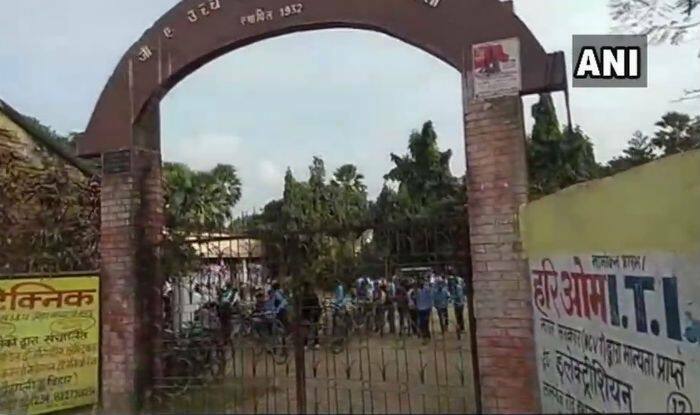 The miscreants allegedly barged into the Kasturba Awasiya Balika Vidyalaya in Bihar’s Supaul with the intention of molesting the girls and manhandled the teachers. Parents of the boys were part of the mob. Subsequently, the girls, who were in the age bracket of 12 to 16 years, had to be admitted to a local hospital. In neighbouring Uttar Pradesh, a principal of a secondary school allegedly thrashed his students for failing to wish him “As-Salaam-Alaikum”. A case has been registered against him in this regard. When the Principal Secretary and nodal officer of the district, Dimple Verma, paid a visit to the Bilhari Secondary School in the Tilhar area last Sunday, he was informed of the mishap by an official. Principal Chand Mian demanded that his students greet him by saying “As-Salaam-Alaikum”. When students instead wished him ‘good morning’, they were subject to corporal punishment, said the official.“As-Salaam-Alaikum” is an Arabic greeting which means “peace be upon you”.